The UK and Germany have seen new heights in their domestic wind energy production. This growth, and continuing growth is strongly related to policy and regulatory decisions. If Australia followed suit with sensible energy policy, we could enjoy the same transition in the coming years. This article was originally published by Climate Progress. It can be found here. The United Kingdom blew past previous wind power records in 2014 while Germany generated a record amount of electricity from wind in December, setting the stage for 2015 to bring more industry growth across Europe. Exactly how quickly it grows, however, is contingent upon several political and regulatory decisions to come. Using statistics from the U.K.’s National Grid, the trade association RenewableUK found that wind generated enough electricity to power just over 25 percent of U.K. homes in 2014 — a 15 percent increase from 2013. Wind turbines provided 9.3 percent of the U.K’s total electricity supply last year, a 1.5 percent boost from 2013. “It’s great to start 2015 with some good news about the massive quantities of clean electricity we’re now generating from wind,” said RenewableUK’s Deputy Chief Executive Maf Smith. In December, Germany generated more wind power, 8.9 terawatt-hours, than in any previous month. According to the IWR renewable energy research institute, this record will be overtaken in 2015 as more offshore wind farms come online. After strong wind power months in October and November, Scotlandalso set a monthly generation record in December. WWF Scotland statedthat wind power generated enough power to supply electricity to 98 percent of Scotland’s households in 2014. Scotland has even bigger plans for the future — and according to a new study, these plans can be met and even exceeded. Scotland hopes to generate the equivalent of 100 percent of its electricity from renewables by 2020 and to export non-renewable production from conventional power plants to countries like England. A new report from consultancy firm DNV-GL has found that the country could be fossil fuel-free by 2030, meaning it could do away with any fossil fuel generation, even the exported amount. Renewables are already the country’s biggest electricity generator, but with the right policies Scotland could make fossil fuel production a thing of the past within a couple decades. Regulatory signals also need to be stable in order to reach this goal, according to the report, which states that attracting investment is critical to transitioning to a low-carbon economy. The U.K. is entering a general election year, and electricity prices and sources will play a large role in the political conversation. On Sunday, the Guardian wrote an editorialstating that energy has become “the battleground for the most fundamental differences” between members of the governing coalition. Across Europe, 2015 will also be a big year for renewable energy policy. Late last year the bloc released plans to legally require member countries to cut greenhouse gas emissions 40 percent below their 1990 levels by 2030. According to a December report from the International Energy Agency, a single electricity market — or “Energy Union” — is need to reach these goals. E.U. negotiators will release plans for this transition later this year. The union is intended to increase regional energy security, reduce power demand, focus on low-carbon, renewable sources, and increase R&D and investment in the sector. In the year ahead at least, renewable power growth should remain stable in Europe. According to two consulting firms, the E.U. renewables market will add 8.7 GW of wind and 10.7 GW of solar this year. Beyond that, a lot is up on the air. 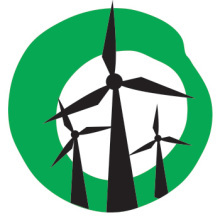 Jacopo Moccia, head of political affairs at the European Wind Energy Association, recently said that Europe will see wind investments concentrate in key countries such as Germany, the UK, Poland and Sweden. “Markets in Southern and Eastern Europe are likely to come to a standstill as retroactive changes to support mechanisms and a lack of forward guidance on the regulatory side make investments in these regions risky business,” he said. With the major U.N. climate conference headed to Paris in December, where countries will work to finalize a post-2020 climate treaty, attention will be concentrated on Europe this year to make some of the largest commitments. Especially with the U.S. political system even more bogged down in regulatory and political turmoil as Republicans at national and state levels aim to obstruct the Administration’s climate and environmental goals. Reblogged this on Green Living 4 Live.